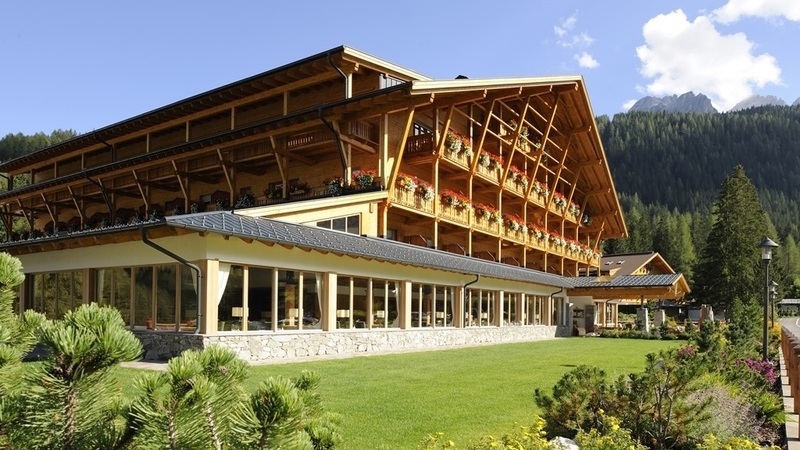 Hotel in the heart of the Dolomites, for relaxing and active holidays in the middle of a wonderful mountain landscape. 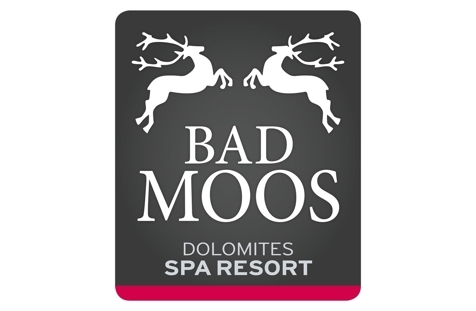 Welcome to Bad Moos - Dolomites Spa Resort****s in Sexten! Bad Moos - Dolomites Spa Resort****s is situated in Sexten in the middle of the breath-taking mountain world of the UNESCO world heritage Dolomites. This is the best place to spend holidays with your family full with relaxation and many wonderful outdoor activities. In summer, the guests at Hotel Bad Moos will look forward to wonderful hikes, Nordic walking, mountain bike tours and high-rope gardens in the fantastic Dolomites around Sexten. In winter, the skiing areas Helm and Rotwand await you with well-prepared slopes. Our house is situated directly at the valley station of Rotwand gondola lift, which takes you comfortably to the family-friendly slopes and to the tobogganing run. Standard double room "Cima Uno"
The beautiful Standard double rooms offer space for 2 to 3 people and a balcony with a splendid view of the surroundings. Marble bathroom with bath tub or shower, bidet, separate WC, make-up mirror, hairdryer, bathrobe, and slippers. Telephone, WiFi-Internet, satellite TV, 26" flat screen TV, safe, mini-bar. Superior double room "Tre Scarperi"
The spacious Superior double rooms offer a living area and balcony, and a view of the Croda Rossa Mountain or in the direction of the village of Moso. Bathroom with bath tub or shower, bidet, some with separate WC, make-up mirror, hairdryer, bathrobe, and slippers. Telephone, WiFi-Internet, satellite TV, 26" flat screen TV, safe, mini-bar. The spacious single rooms offer space for 1 to 2 people, a comfortable French bed (140 cm wide) and a balcony. Marble bathroom with shower, bidet and WC, make-up mirror, hairdryer, bathrobe, and slippers. Telephone, WiFi-Internet, satellite TV, 26" flat screen TV, safe, mini-bar. The Panorama Suites offer space for 2 to 4 people, a bedroom and inviting living area with sofa bed, south-facing balcony, and a splendid view of the Fiscalina Valley. Marble bathroom with shower, bidet and WC, make-up mirror, hairdryer, bathrobe, and slippers. Telephone, WiFi-Internet, satellite TV, 2 x 26" flat screen TV, safe, mini-bar. The Junior Suites offer space for 2 to 4 people. Some come with a canopy bed or sofa bed, rustic oven or fireplace for a warm and inviting atmosphere! Marble bathroom with bath tub or spacious shower and bidet, separate WC, make-up mirror, hairdryer, bathrobe, and slippers. Telephone, WiFi-Internet, satellite TV, 32" flat screen TV, safe, mini-bar. The inviting Mountain Suites offer space for 2 to 4 people, with a rustic stove or fireplace, separate living and sleeping areas with a sofa bed for 2 persons. Elegant bathroom with spacious shower, bidet and WC area, make-up mirror, hairdryer, bathrobe, and slippers. Telephone, WiFi-Internet, satellite TV, 32" flat screen TV, safe, mini-bar. The large top suite for 2-5 people with rustic stove, some with separate living and sleeping areas, sofa bed for 2 people and a foldaway bed for 1 person. Elegant bathroom with large shower, toilet and bidet area, make up mirror, hair dryer, bathrobe and slippers. Telephone, WiFi-Internet, satellite TV, 2x 32" flat screen, safe, minibar. The exclusive alpine-style loft suites with comfortable living area with fireplace, to spend romantic moments. Elegant bathroom with double sink, bath tub, large shower, toilet and bidet area, make up mirror, hair dryer, bathrobe and slippers. Telephone, WiFi-Internet, satellite TV, 32" flat screen, safe, minibar. Double room | One-room apartment for 2-3 people with pull-out sofa, south-facing balcony and a splendid view of the Fiscalina Valley. Fully equipped kitchenette with classical corner bench. Bathroom with large shower, washbasin, bidet, WC, make up mirror, hair dryer, bathrobe and slippers. Telephone, WiFi-Internet, satellite TV, 26 "flat screen and safe. Direct access to the Wellness and Health area Bad Moos TERMESANA and Bad Moos - Rooms and Suites **** s.
Family room | room apartment for 2-4 people with connecting room with twin beds, sofa and balcony overlooking the Croda Rossa, north side. Fully equipped kitchenette with classical corner bench. Modern bathroom with large shower, washbasin, bidet, WC, make up mirror, hair dryer, bathrobe and slippers. Telephone, WiFi-Internet, satellite TV, 26" flat screen and safe. Direct access to the Wellness and Health area Bad Moos TERMESANA and Bad Moos - Rooms and Suites **** s.
Family room | room apartment for 2-5 people with connecting room with two twin beds and a sofa bed, no balcony. Fully equipped kitchenette with classical corner bench. Modern bathroom with large shower, washbasin, bidet, WC, make up mirror, hair dryer, bathrobe and slippers. Telephone, WiFi-Internet, satellite TV, 26" flat screen and safe. Direct access to the Wellness and Health area Bad Moos TERMESANA and Bad Moos - Rooms and Suites **** s.
Attic Double Room "ROSA ALPINA"
Double attic bedroom | one-room apartment for 2-4 people with sofa bed, no balcony. Fully equipped kitchenette with classical corner bench. Bathroom with bath or shower, washbasin, bidet, WC, cosmetic mirror, hair dryer, bathrobe and slippers. Telephone, WiFi-Internet, satellite TV, 26" flat screen and safe. Direct access to the Wellness and Health area Bad Moos TERMESANA and Bad Moos - Rooms and Suites **** s.